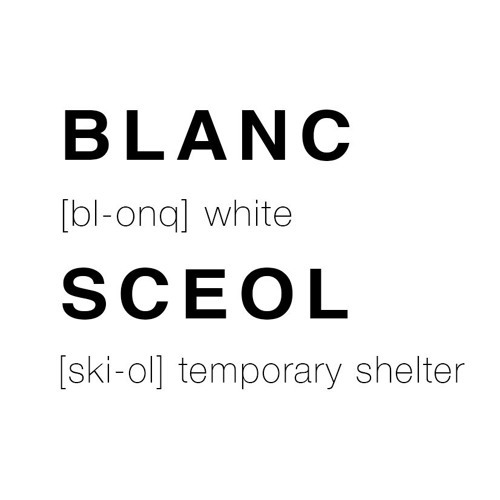 [Bl-onq] white [ski-ol] temporary shelter Blanc Sceol are sound makers, explorers, performers, investigators and inventors. They produce site specific performances using techniques of sonic art and ritual. Blanc Sceol are Stephen Shiell and Hannah White.